Fresh Up Kit from Thetford to freshen up the C200 Toilet. Now features a handle and integrated wheels for easier emptying. 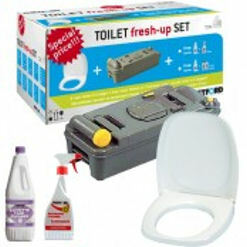 Kit contains, seat and lid, new waste tank with wheels, bathroom cleaning spray and cassette waste tank cleaner. 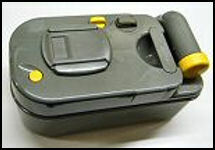 Spare Cassette Waste Tank for Thetford C200CS or C200CW toilet.